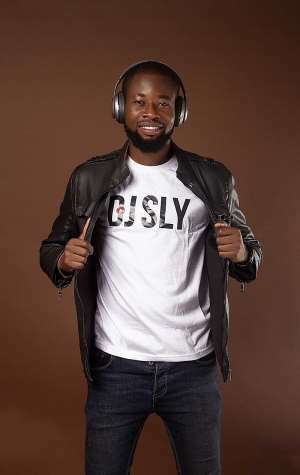 Fast-rising Disc Jockey DJ Sly bemoans the selection criteria used for DJ awards only favour those who play bigger shows and have connections, but not necessarily the hard-working ones. For the past five years, DJ Sly has always been on the list of nominees on the Ghana DJ awards, but has not for once won it, an experience which makes him suspect winning such awards is not just by dint of hard work. The gifted DJ, who successfully pulled off a solo concert dubbed the ‘Unstoppable Concert’ at the West Hills Mall, hopes that organisers would review their selection criteria to allow other hard-working DJs like himself be recognized. For DJ Sly, however, it is unfair to judge DJs by the opportunities they get to play at big shows. He would rather DJs are judged based on their ability to put together their own shows like he did last year. “We’ve been doing great stuff, we are amazing, we can turn on the crowd, but we don’t have the opportunity to play certain concerts, certain shows like VGMA,” he explained why it is difficult for him to be recognised. Even without an award, DJ Sly is convinced that his self-organized concert gave him a milestone and makes him a force to reckon with.